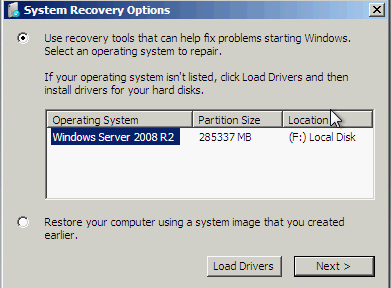 I was trying to repair a Windows Server 2008 R2 server and got an error at the System Recovery Options screen when booting from the Operating System DVD. The error read “This version of System Recovery Options is not compatible with the version of Windows you are trying to repair. 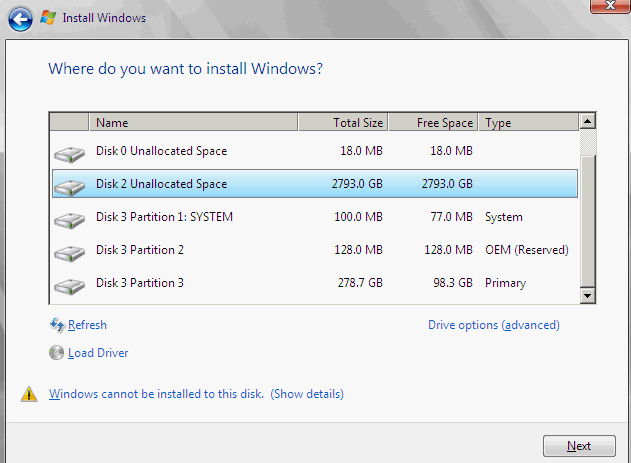 Try using a recovery disk that is compatible with this version of Windows.”. The problem was that I was using the correct recovery disk, so why was windows reporting this. 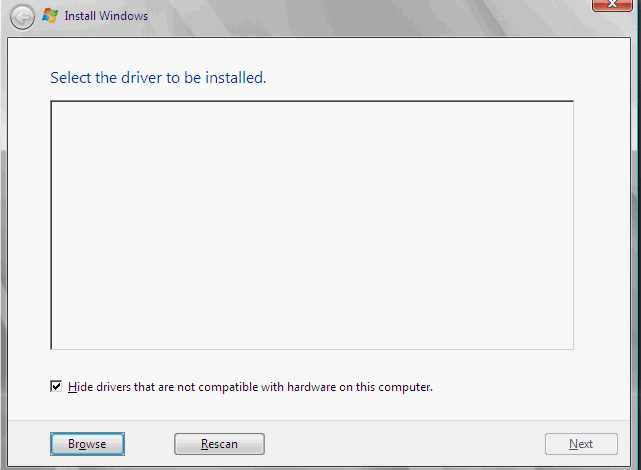 In this case, the error is misleading and really meant that it could not find the windows installation. 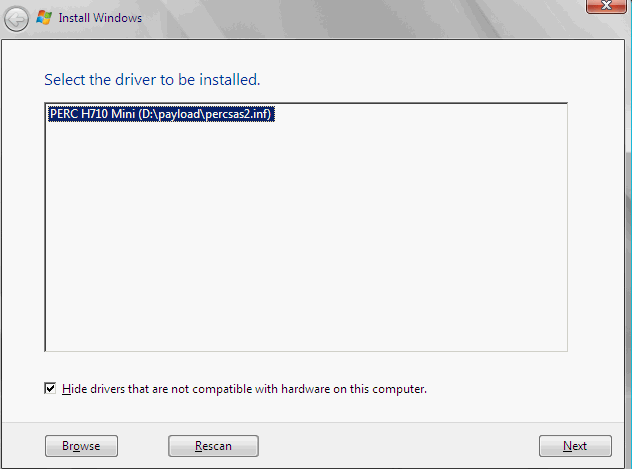 This is because the drivers for the RAID controller card was not included with the windows recovery disk. To fix this problem you first need your RAID controller drivers on a USB drive plugged into the server. You may need to download the drivers from the hardware vendor of your server/raid controller card if you do not have them already. Then boot the server from the Operating System DVD and Select Repair your Computer. Click browse and select the folder where the drivers are located and click next. Now at this point DO NOT CLICK NEXT. We do not want to install windows (or at least I did not want to install windows, I want to repair windows). So, instead, now the driver is loaded, click back, and close the window. Now, click on repair and you should see your operating system listed in the System Recovery Options instead of the error message. From here click next and continue to repair your system. I hope this helps someone out. Please let me know with a comment if it does.